Be ready to have a great time at all of your family and friend gatherings by having a great lawn activity ready for all to play; sized especially for children, this set will get them outside and having fun again and again! 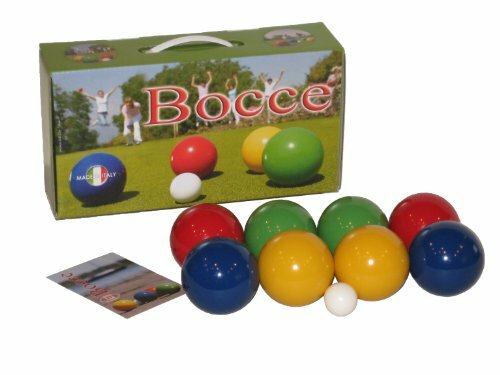 ; includes eight 3 lacquered agglomerate wood balls, 1 Jack ball and complete rules; set is made in Italy by a family-run business that has been creating the highest quality wooden toys for over 40 years; for ages 13 years and older. If you have any questions about this product by Toymarketing International, contact us by completing and submitting the form below. If you are looking for a specif part number, please include it with your message. White Walrus Professional Kubb Game - Official USA National Kubb Tournament Size by Games - FREE Carrying Case Included!